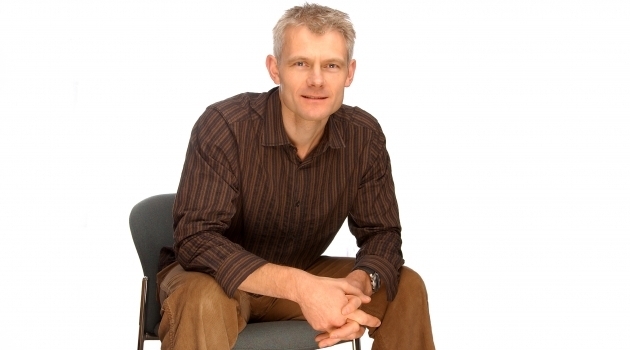 Uppsala University's new Zennström Visiting Professor of Climate Change Leadership, Kevin Anderson. Climate researcher Kevin Anderson will be Uppsala University’s second holder of the Zennström Visiting Professorship in Climate Change Leadership. He will continue the work of Doreen Stabinsky in establishing an academic environment that will be unique, both in Sweden and in the world. Kevin Anderson is Professor of Energy and Climate Change at the University of Manchester and Deputy Director of the internationally renowned Tyndall Centre for Climate Change Research. He is one of Great Britain’s most recognized climate researchers and is well known for his skills in communicating climate science to decision makers, the business-sector, civil society and media. He has been pivotal in establishing research around carbon budgets and the transformation of different societal sectors to acceptable mitigation-levels based on politically agreed goals. A strong proponent of leading by example, Kevin Anderson has not gotten on an airplane for over 12 years. ‘Kevin Anderson’s research on the technical, social and economic dimensions of the climate and energy transformation, address questions at the core of the professorship’s theme. He is a prominent thinker, researcher and personality that will be a great asset for the university as well as the Uppsala region and Sweden’, says Marika Edoff, Deputy Vice-rector at the Faculty of Science and Technology at Uppsala University and Chair of the professorship’s advisory board. ‘The Paris framing of climate change poses unprecedented challenges for leadership at all levels and across all tiers of governance. It raises profound system-level questions far beyond anything previously encountered and which collectively challenge the contemporary economic paradigm. In a very real sense, when it comes to leadership we are starting anew. It is this daunting prospect but exciting opportunity that sets the backdrop for the Uppsala Climate Change Leadership Programme’, says Kevin Anderson. The ten year visiting professorship, where a new professor is invited every, or every other year, is coordinated by Uppsala Centre for Sustainable Development (CSD), and will thereby contribute to an increased focus on climate change leadership within the centre. A number of activities are being planned in collaboration with Kevin Anderson, including seminars, public lectures and international workshops. The professorship is funded through an earlier donation to Uppsala University by the entrepreneur Niklas Zennström. CSD is an interdisciplinary centre at Uppsala University and the Swedish University of Agricultural Sciences (SLU) with the mission to be a catalyzer for research, education and outreach within the sustainability field. Read more about Doreen Stabinsky, Uppsala University’s first visiting Zennström professor in climate change leadership.